Cal Poly’s LGBTQIAP+ community celebrates their most significant and impactful event: during the month of April: Pride Month. The Pride Center was created to support and advocate for the unique academic and social needs of lesbian, gay, bisexual, transgender, queer or questioning, intersex, asexual and pansexual (LGBTQIAP+) students to promote personal growth and success, according to the center’s website. The center provides a safe and inclusive space, creating an empowering environment for the LGBTQIAP+ and allied communities at Cal Poly. 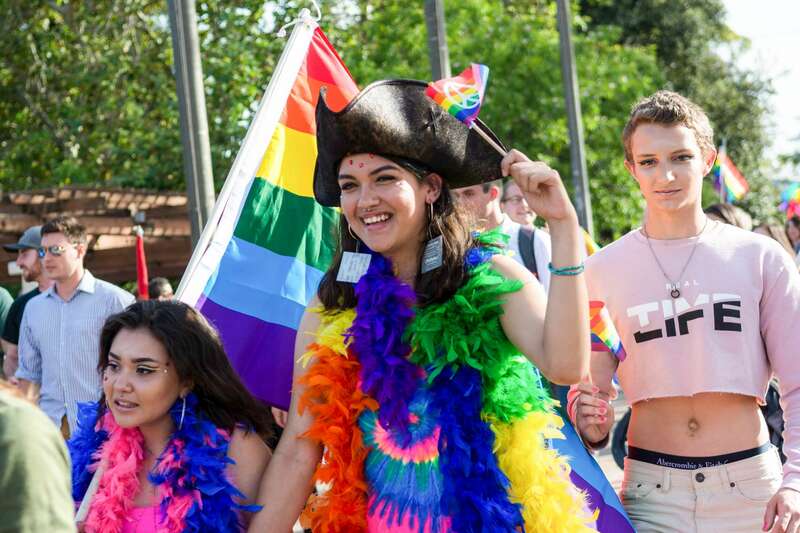 While the United States generally celebrates annual Pride Month festivities during the month of June, Cal Poly makes an effort to allow students the chance to participate in the activities while school is still in session. Cal Poly’s Assistant Dean of Students and Director of the Cross Cultural Centers Bryan Hubain is excited for this event as well, for a specific reason. A closed space for non-cisgender and gender nonconforming students to build community and engage in dialogue. A closed space for queer and/or trans-identifying students to build community and discuss contemporary topics. A closed space for queer and/or trans people of color to share their experiences. A closed space for queer-identified women to build community and network. An opportunity for students to go on stage and speak their minds about Cal Poly and their state of being. The State of Gender and Sexualities event is one Hubain was especially excited about. Pride Month is extremely important to the LGBTQIAP+ community at Cal Poly, allowing a time to celebrate their own unique identity unapologetically. For others, it is a reminder of how much they have grown since they initially came out. While Cal Poly aims to promote inclusivity throughout the various communities on campus, some students feel a lack of support from administrators. Though the campus has worked to improve the resources available for the LGBTQUIAP+ community, such as a limited number of gender neutral restrooms, some feel as if administrators have not been prioritizing the needs of these students. “We don’t have a Pride Center coordinator right now, we have very few Cross Cultural [Centers] coordinators right now because they’ve all left Cal Poly and that’s something Cal Poly needs to take a stand on,” Scialabba said. However, many members still find solace in the celebration of their identities, leaning on one another for support and love. Pride Month is a celebration for the whole world to be boastful in their lifestyles.